On Wednesday April 6, 2016, the faculty of education and the Mi’kmaq-Wolastoqey Centre (MWC) at the University of New Brunswick’s Fredericton campus are pleased to host a public talk by award-winning Canadian novelist and short story writer Joseph Boyden at Marshall d’Avray Hall, room 143, beginning at 6:30 p.m. 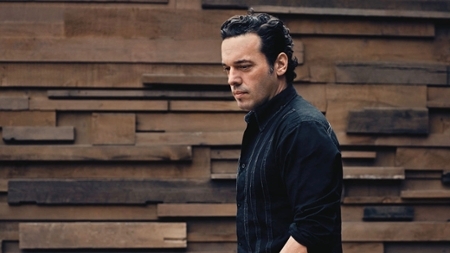 Opening ceremony will begin at 6:30 p.m. with a sacred pipe ceremony, the public talk will begin at 7 p.m.
Of Anishinaabek (Ojibwe), Irish and Scottish roots, Joseph Boyden’s work focuses on First Nations culture and history. His award-winning novels include: The Orenda, Through Black Spruce and Three Day Road. During his visit to UNB, Joseph Boyden will also be a keynote speaker part of the fourth annual Canadian Symposium on Indigenous Teacher Education: “Moving Towards Reconciliation”, which will take place from April 6–8, 2016, at UNB Fredericton’s faculty of education. This unique conference will bring together teacher educators working in indigenous contexts to share ideas, experiences, and innovations regarding teacher education programs. “We are very excited to have Joseph Boyden speak at the faculty of education as he will really draw attention to the recommendations of the Truth and Reconciliation Commission in a way that helps us all become aware of the importance of understanding the role we all play in reconciling with Aboriginal Peoples,” says Ann Sherman, dean of education.